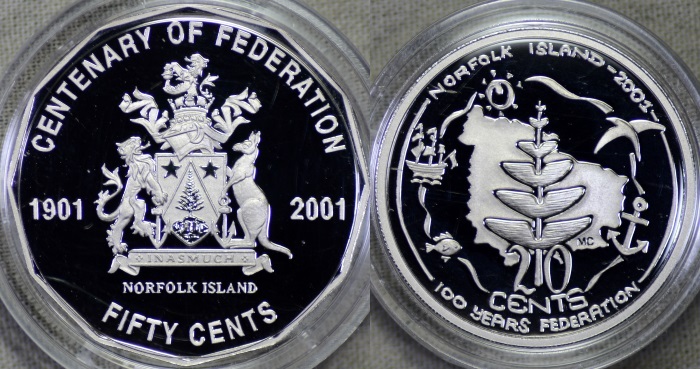 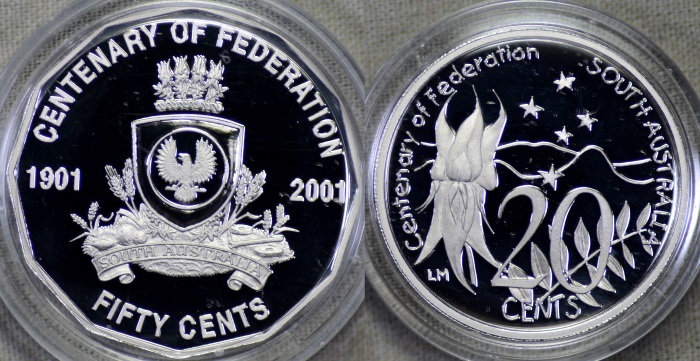 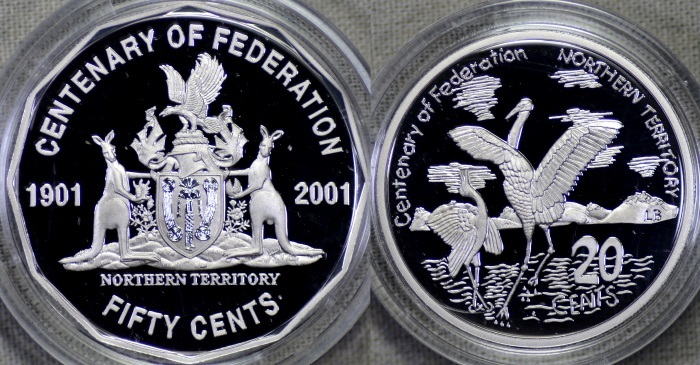 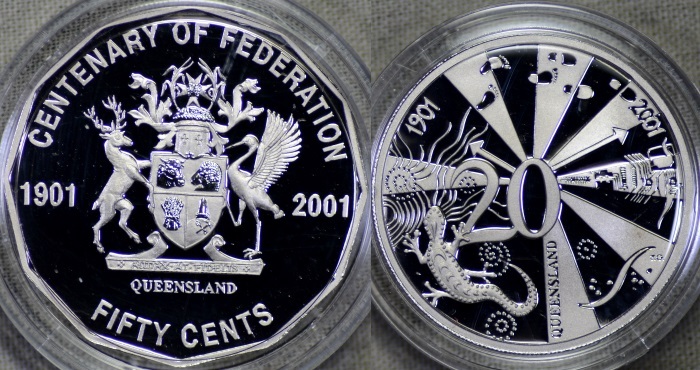 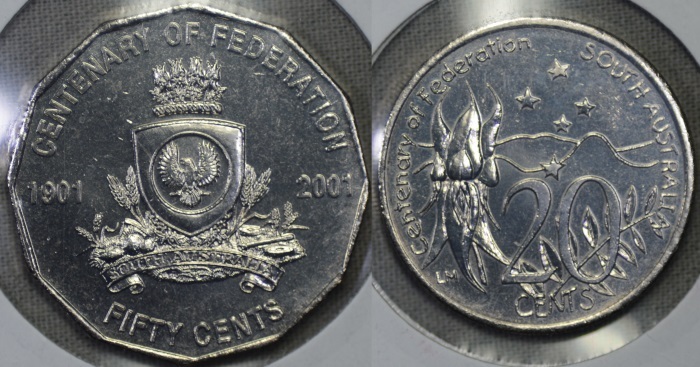 As the picture threads appear to be quite popular with our Members and our Guest's that pop in from time to time I thought it would be a good idea to show people what our 2001 Federation coins look like. 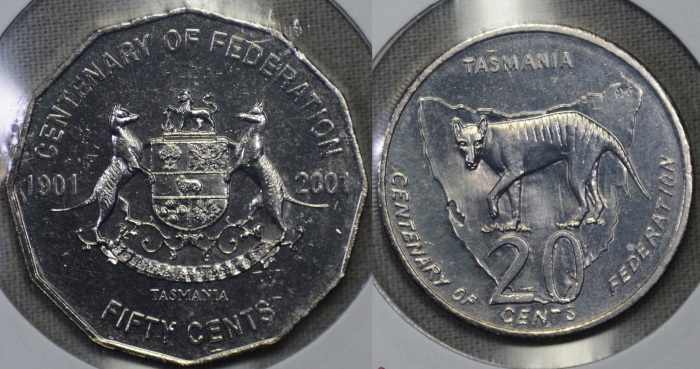 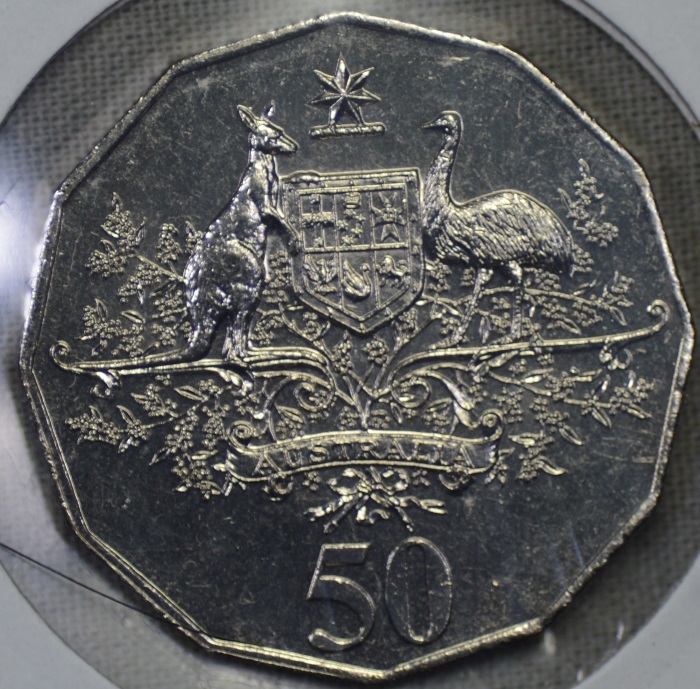 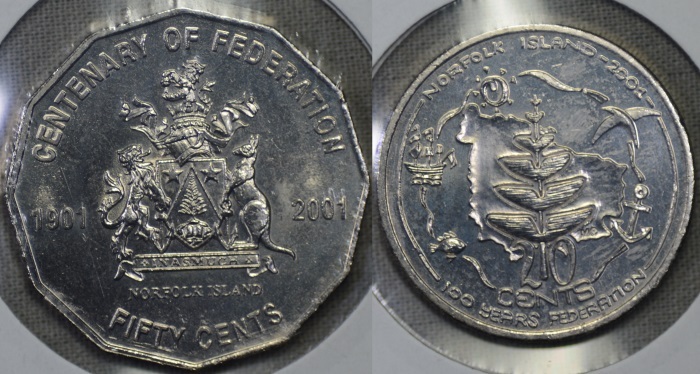 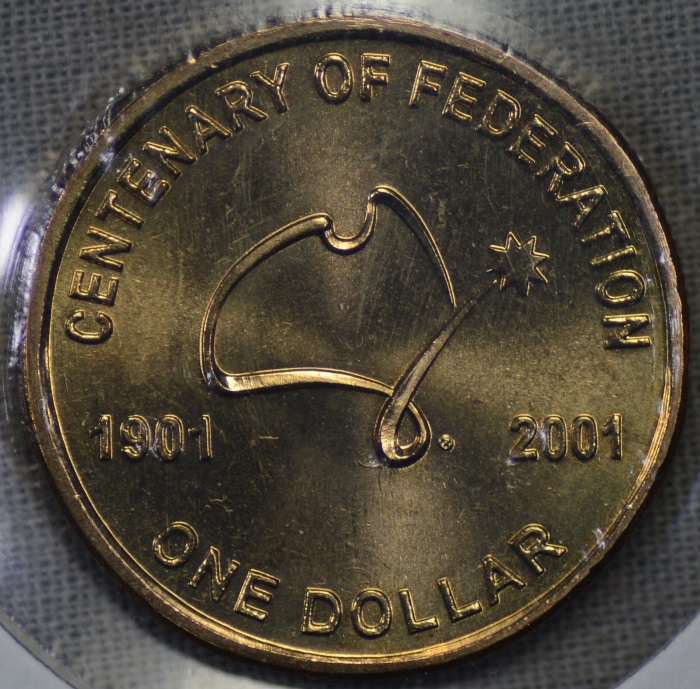 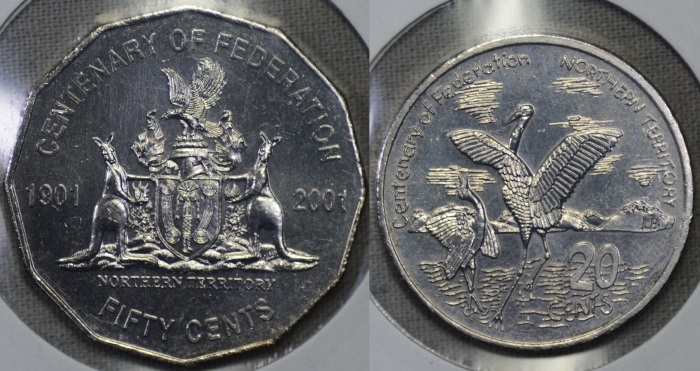 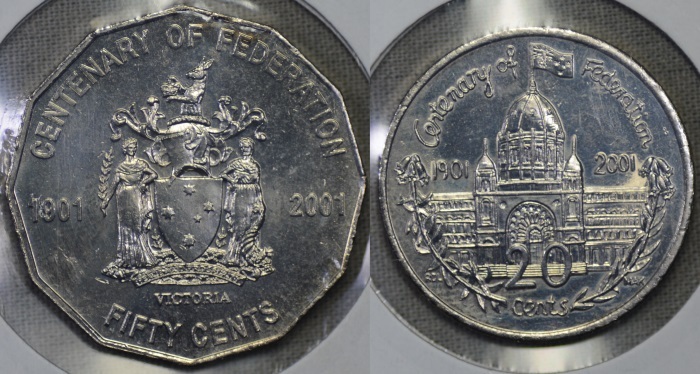 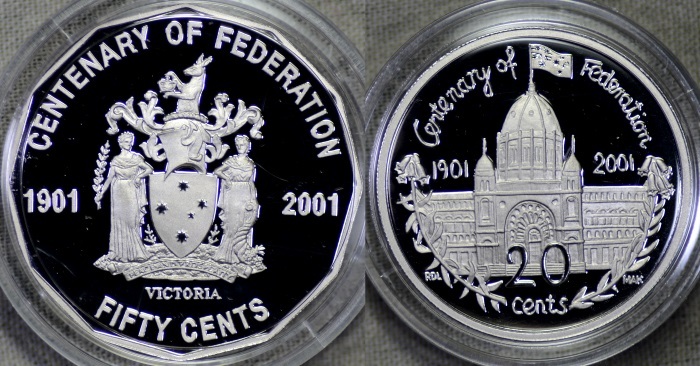 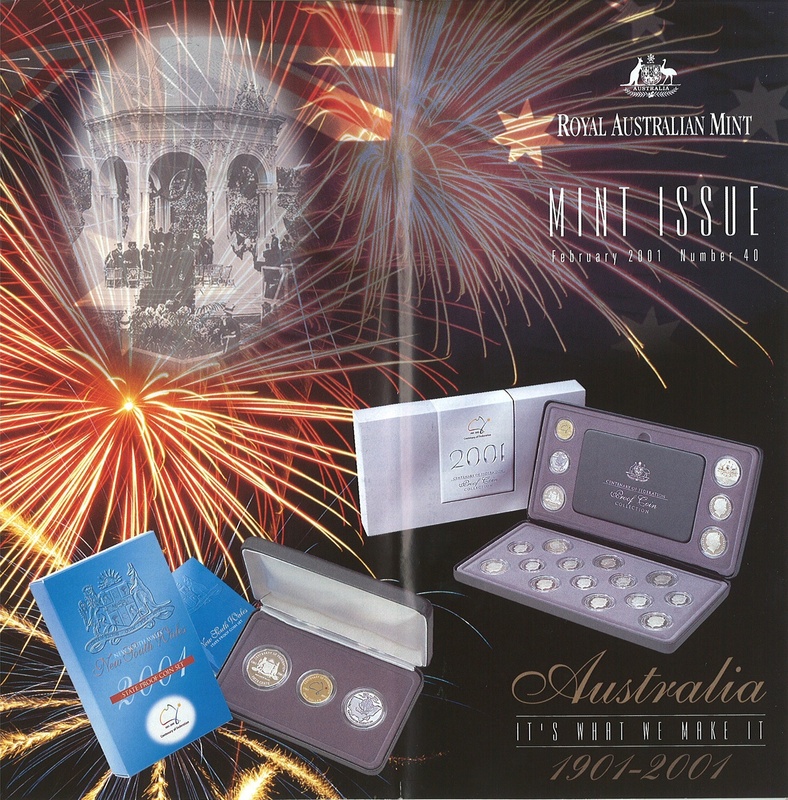 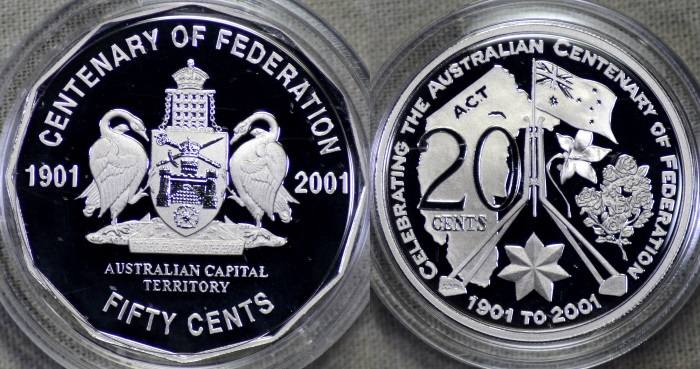 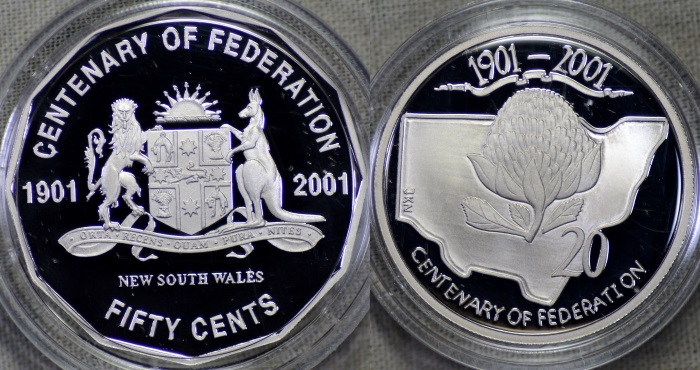 These coins were produced for circulation and are a very popular set of coins amongst Australian collectors. 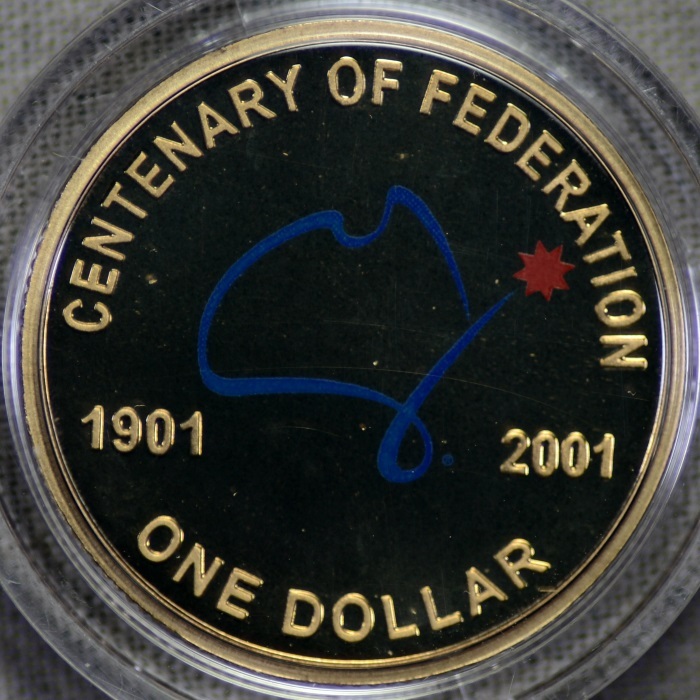 Bonza topic for a new thread trout. 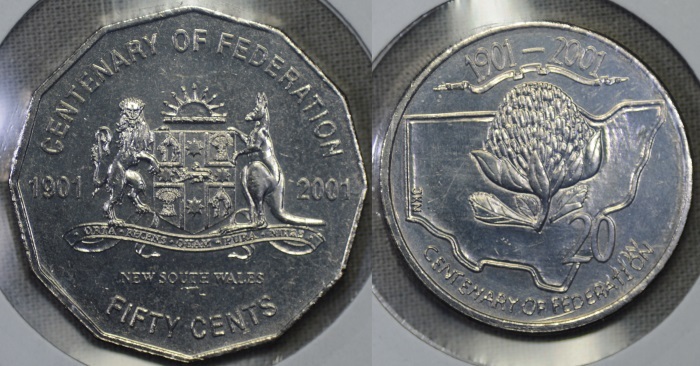 It might be worth pointing out that the twenty cent coin designs were done by school students who entered (and won) a competition. 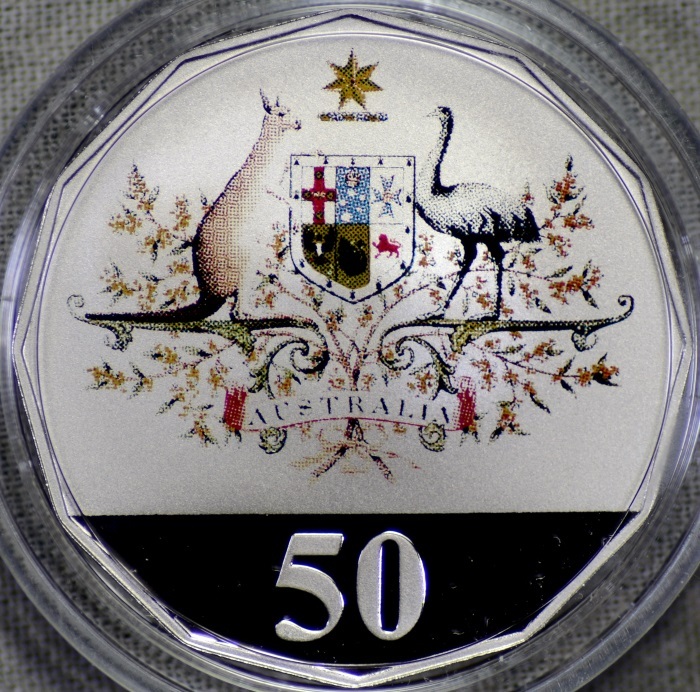 The fifty cent designs are the official state Coat of Arms. 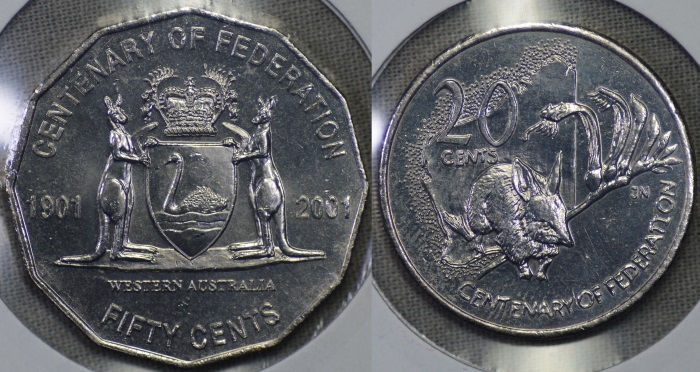 It's just my opinion, but I think the twenty cent coins look better than the fifties, and it's a shame that the fifties didn't have the school designs. 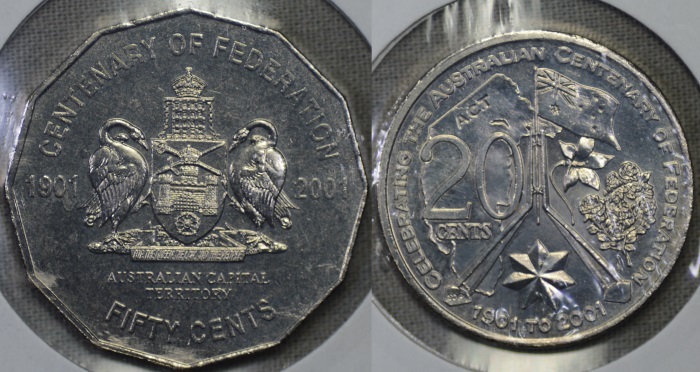 Quote: It might be worth pointing out that the twenty cent coin designs were done by school students who entered (and won) a competition. 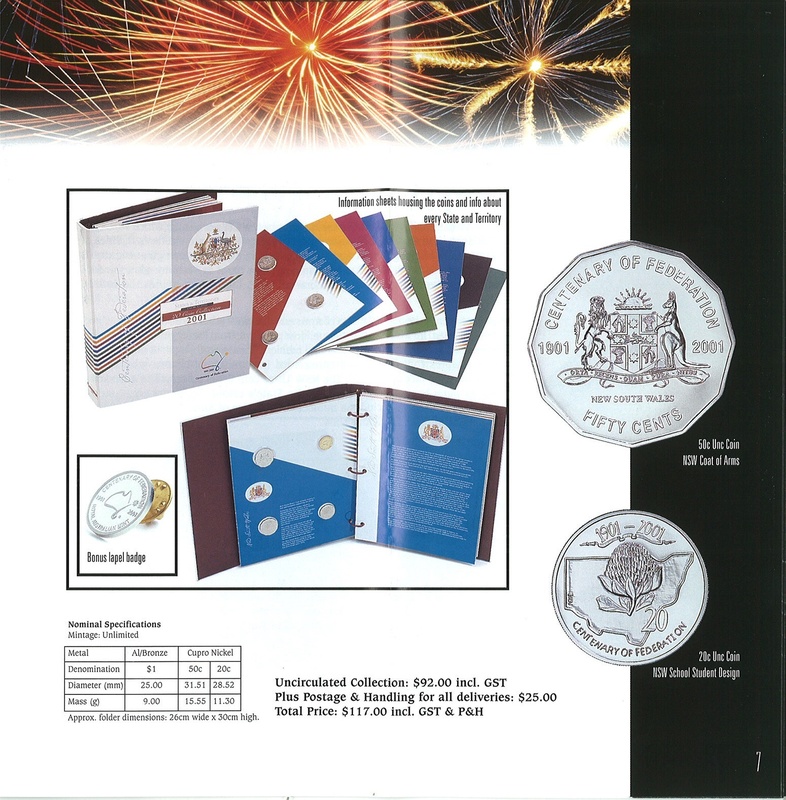 The school kids (see above) all received a special presentation certificate from the Mint and their schools -who had to sponsor their entry- received a cash payment. 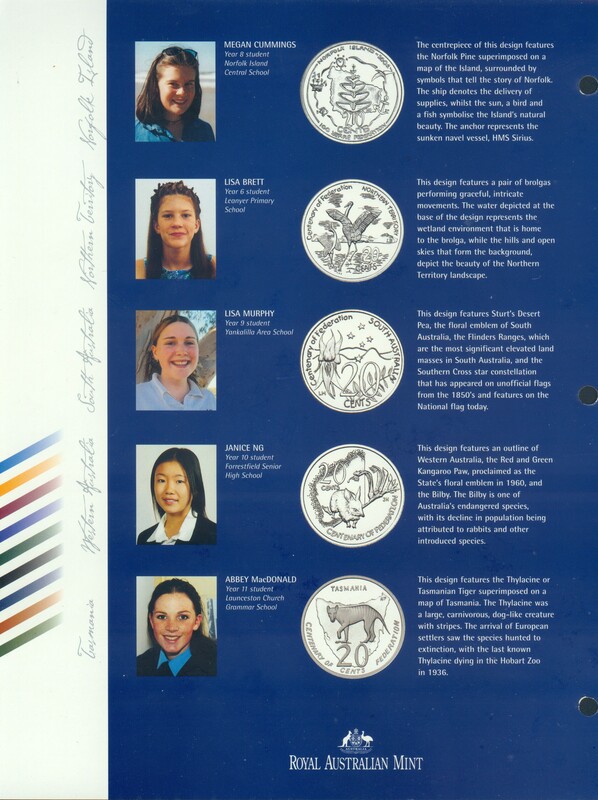 Seems a little unfair to me (I bet the school kids would have liked the money) but...they all have their initials on the coins so they are up there with SD and IRB. 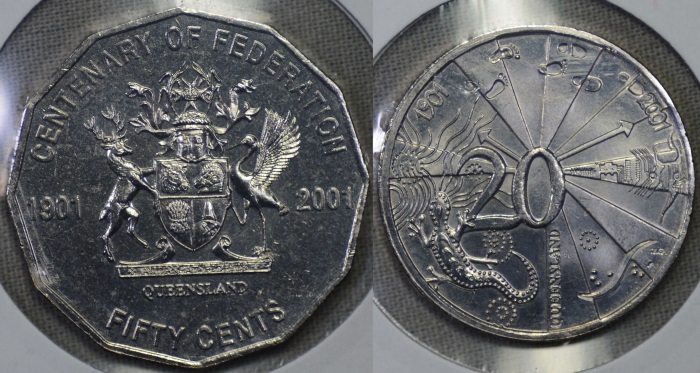 That is serious bragging rights. 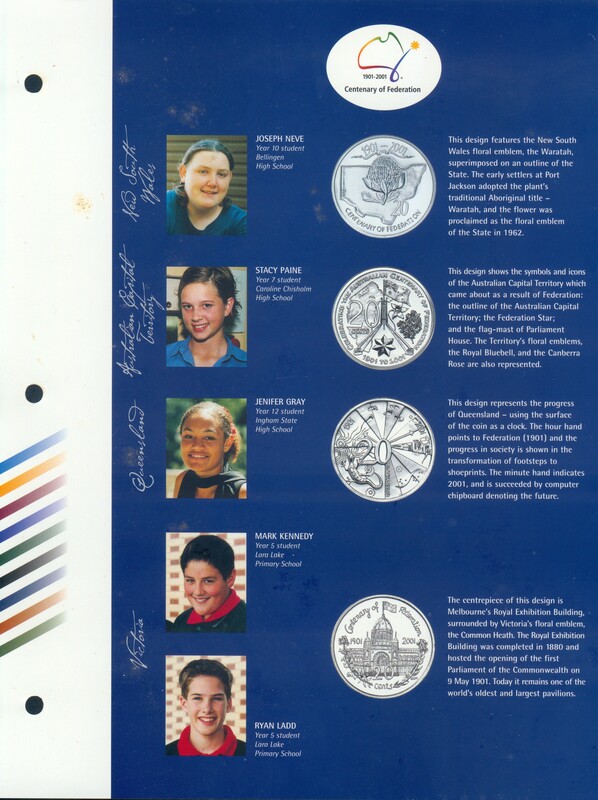 from a kids competition. 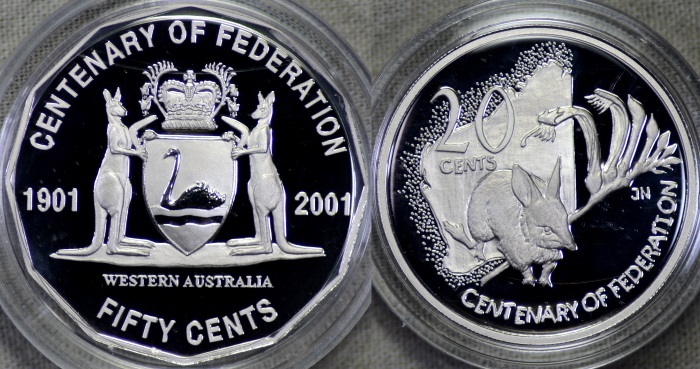 Some great designs for kids. 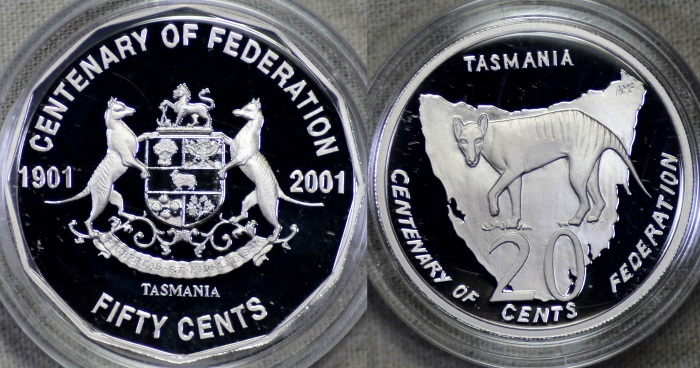 You have some very nice coins there trout.